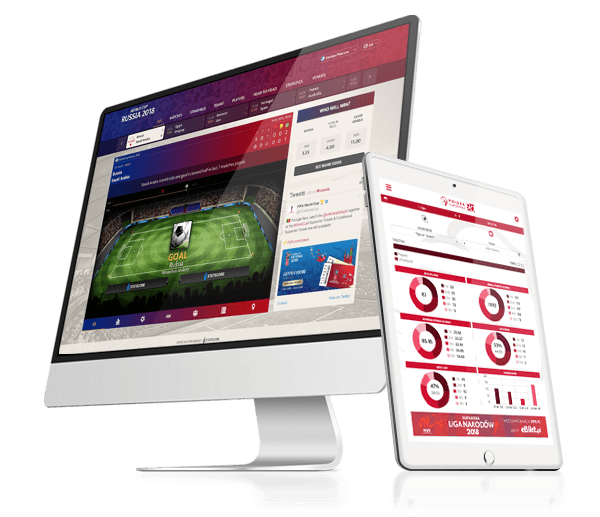 Nowadays we work with several customers from the following markets: bookmakers, clubs, federations, affiliates, media. As a company which are producing the most modern solutions, having a responsive design is a standard which we provide. LeagueCenter will looks great on any mobile device. Yes, one of the biggest benefits of LeagueCenter is the possibility to make it consistent with clubs or federations webpages. Will STATSCORE’s LeagueCenter be hosted on my server? LeagueCenter will be installed on our server and we will guarantee you solution corresponding to the number of visitors you declare. You will only have to paste the code to your website. By now 30 different languages are available to use. If you need another one, we can provide it in about two weeks. You will have full control of adding and changing banners, once you get an access to your administration panel. The whole process will take few days or little longer if you need special customisation. First we will start preparation process and then the final integration follows.